The National Military Working Dogs Memorial charity have put a call out for Volunteers needed to help at Crufts, March 2019. 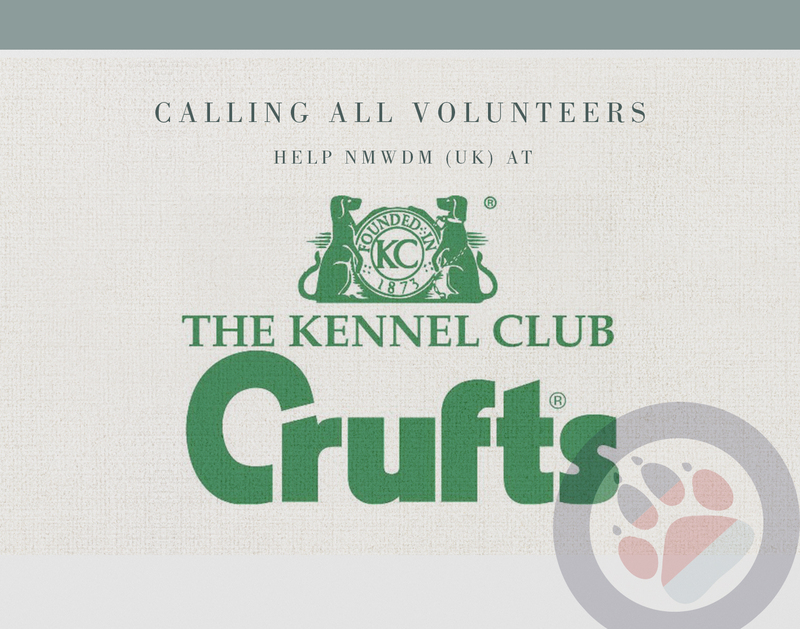 The Kennel Club genorously invited the NMWDM (UK) to exhibit in Crufts 2019 which takes place in March this year. This means that we will be able to attend the biggest dog event in the UK to raise awareness for the working dogs as well as raise money! We are now looking for volunteers to take part in this event with us, talking to people about the charity and the importance of honouring our working dogs. Please contact Emma Ward should you be interested in helping out.